Another pattern for the dog lovers, Canine Friends is available on traditional linen and is approx. 20x21 inches. For US coustomers paying in US$'s shipping will be included. Something different from Laurel Burch,, this mermaid pattern is available on traditional linen and is approx. 12x33 inches. 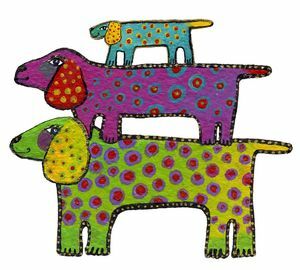 One of the new patterns that will appeal to Laurel Burch fans and dog lovers as well. This colourful pattern comes on traditional linen and is approx. 20x21 inches. 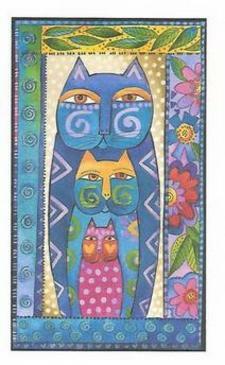 3 Stacked Cats by Laurel Burch. Her vivid and vibrantly coloured images are whimsical creations from a mythical world of her own imagination. This pattern is 15.5 x 23 inches on traditional or primitive linen, please specify your preference in your contact email. For US customers the price will be in US $'s but will include shippinng. 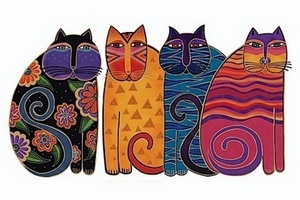 Feline Family Portrait by Laurel Burch. Recognized for her iconic cat figures Laurel created art that is timeless, joyful and uplifiting. This pattern is 18.5x28 on primitive linen. If you prefer Traditional please indicate that in your contact email. For US customers the price will be US$'s but will include shipping. 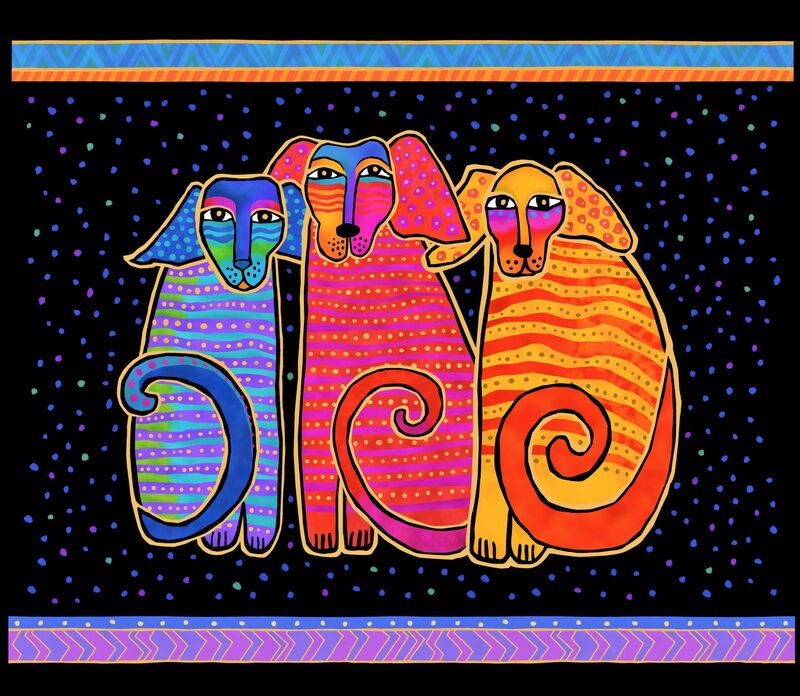 Kindred Spirits by Laurel Burch. 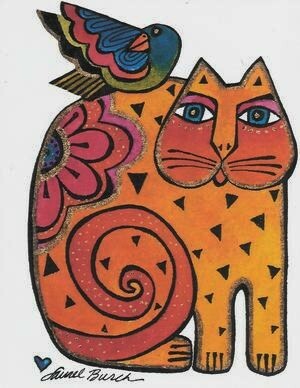 Recognized for her iconic cat figures, Laurel created art that is timeless, joyful and uplifiting. This pattern is 14x14 on traditonal linen and would make a great pillow. If you prefer Primitive Linen please indicate that in your contact email. For US customers the price is in US$'s but will include shipping.